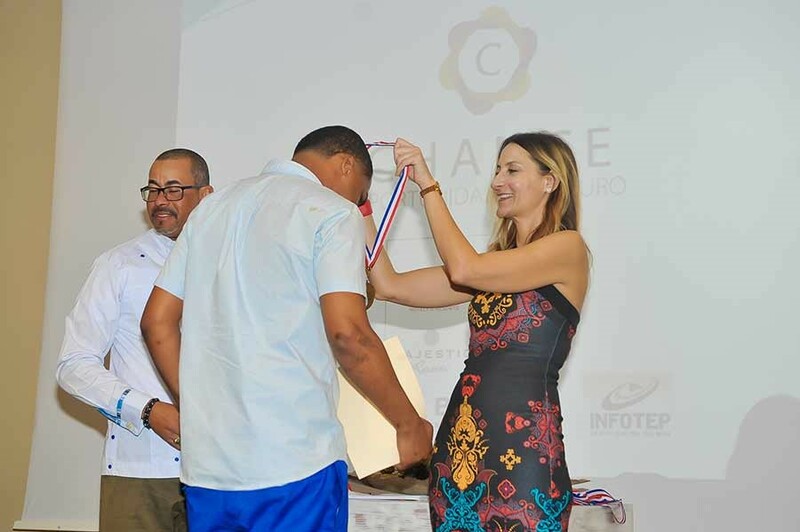 On December 3, there was a graduation ceremony for 48 Dominican students who participated in the fourth class of the Chance project, a pioneering initiative started in 2015 by the Mallorcan hotel chains Barceló Hotel Group, Majestic Resorts, Iberostar Group, Grupo Piñero and RIU Hotels & Resorts. The goal was to provide training and employment opportunities to youth at risk of social exclusion in the Dominican towns of Bávaro and Verón, where the hotel companies have been present for many years. After this training period, the young people started their apprenticeships divided into groups in the bar, kitchen, electricity and air-conditioning departments in five of the hotels owned by the chains in Bávaro. Following their graduation on December 3, the students who pass the course will have the opportunity–the “chance” as Dominicans say, hence the name of the initiative–to consolidate their professional future in the sector.